For Maurice Wilkins Centre associated chemists at the Auckland Cancer Society Research Centre, what started as the development of an anti-TB drug has morphed into the discovery of a compound with the potential to tackle a parasitic disease that affects up to 1.3 million people per year. “Chemistry is chemistry,” says Distinguished Professor Bill Denny, an MWC principal investigator and co-director of the Auckland Cancer Society Research Centre (ACSRC). It’s a short statement that goes a long way to explaining how MWC associated chemists at the ACSRC came to work with the New York-based Global Alliance for TB Drug Development (known as the TB Alliance) and the Geneva-based Drugs for Neglected Diseases initiative (DNDi). “Our work with the TB Alliance came about in the mid-2000s because we had expertise in the particular chemistry behind an anti-TB drug they were developing called PA-824” says Bill. The TB Alliance drew upon the world-leading medicinal chemistry skills of Bill and five of his ACSRC colleagues, including Associate Professor Brian Palmer and Dr Andrew Thompson, to optimise each part of the drug through the design and synthesis of a further 1000 compounds. When fellow not-for-profit drug developer DNDi approached the TB Alliance in 2007 and asked if it had any possible drug candidates to tackle leishmaniasis, a parasitic disease, the TB Alliance put DNDi in touch with the Auckland researchers to provide a selection of the new compounds for screening. 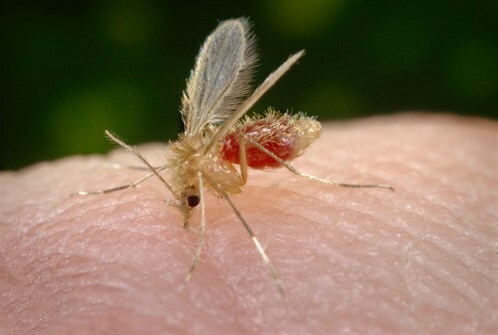 Leishmaniasis is transmitted by female sandflies and affects some of the world’s poorest populations. The three forms of the disease can cause disfiguring boils, damage to nose, throat and mouth tissues, or damage to internal organs. An estimated 1.3 million new cases occur each year with the most serious form, visceral leishmaniasis (VL), resulting in approximately 35,000 deaths annually. Few treatment options are available and all existing VL drugs suffer from significant drawbacks which limit their use. “Initially DNDi investigated the efficacy of a compound called VL-2098,” explains Andrew. “VL-2098 showed great promise as a pre-clinical lead to treat visceral leishmaniasis but was ultimately found to be unsuitable for clinical development.” While these tests were occurring, however, Andrew and another ACSRC chemist, Dr Patrick O’Connor, entered into a 3-year collaboration with DNDi to investigate a slightly different chemical series in an effort to identify a potential back-up should VL-2098 prove unsuccessful. “We ended up making over 300 different compounds, mostly from this second series, and out of that work DNDi have selected a new candidate – DNDI-0690,” says Andrew. In September 2015, DNDi decided to take DNDI-0690 forward for pre-clinical development on the basis of its excellent efficacy against VL in animal models and its better safety profile than VL-2098. Image: A Phlebotomus papatasi sand fly - one of the species responsible for the spread of the vector-borne parasitic disease Leishmaniasis. Image courtesy CDC/Frank Collins, photo by James Gathany.